It's been a rough year for good ole' T-R-U-S-T. How did your company fare? 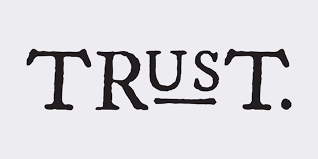 How would you rate your company's Trust grade? The C-SuiteSkimm is a weekly, quick read. Sign up here. 2018 is finally coming to a close. It's been a rough year for good ole' T-R-U-S-T. How did your company fare? On a scale from 1 to 10, with ten being off-the-chart-outstanding, how would you rate your company's Trust grade with key stakeholders, customers, employees and partners? Is your number less than a seven? Here's how to get them back in your boat. The C-SuiteSkimm is a weekly brief for CEOs and business owners delivering essential news, trends, tips and the occasional "ya-can't-make-this-*[email protected]$#! "-up" story. Go here to get this fun, fast, high-value read delivered to your inbox every Sunday. For CEO coaching and private guidance: email [email protected] or visit my site. © 2016 Shannon Solutions, Inc.